Born into an illustrious family of griots, musicians and storytellers in colonial French West Africa, Sory Kandia Kouyaté began playing the four-string ngoni and singing Mande epics in the royal court of Mamou when he was 14 years-old. 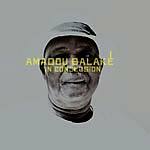 He was still a teenager when he moved to Conakry, the capital of Guinea, where intellectuals, artists and anti-colonialist politicians hailed him for his powerful, sonorous voice and his commitment to bridging traditional culture with modernism. As a star of Les Ballets Africains he toured Africa, Europe, America and China, wowing audiences everywhere. When Guinea declared independence in 1958, Kouyaté became a sort of cultural ambassador for the revolutionary government. He also began recording for the new national record company, Syliphone. This 2CD album presents both sides of Kouyaté's art, the traditional and the modern, with selections from his peak years, 1961 to 1973. 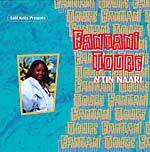 One disc features his renditions of Mande classics accompanied by kora, balafon and his own ngoni. The other rounds up the best of his performances with contemporary big bands, including Keletigui & Ses Tambourinis. The 40-page booklet contains rare photographs and a brief biography of the artist, who died at age 44 in 1977. 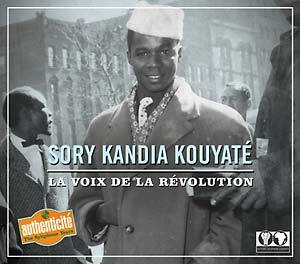 This album exemplifies the reason that, 35 years after his death, Sory Kandia Kouyaté is still regarded as one of Africa's greatest singers. Includes a 40-page illustrated booklet.